[toc]Tonsils are basically a group of lymph nodes situated at the back of the throat on either side. The main function of the Tonsils is to fight against the infections of the body and thus, are an important part of the immune system of the body. However, Tonsils can become infected by bacterial and viral infection, causing them to flare up and become inflamed. This gives rise to a disease known as tonsillitis. A person suffering from Tonsils often experience fever, headache, throat pain, hoarseness, sore throat, difficulty in swallowing, redness and swelling of the Tonsils etc. People of all age can be affected by Tonsils, however, it is most commonly observed in small children. Usually Tonsils get cured by themselves and do not require any medical attention. Tonsils are usually treated with painkillers and antiseptic gargles. 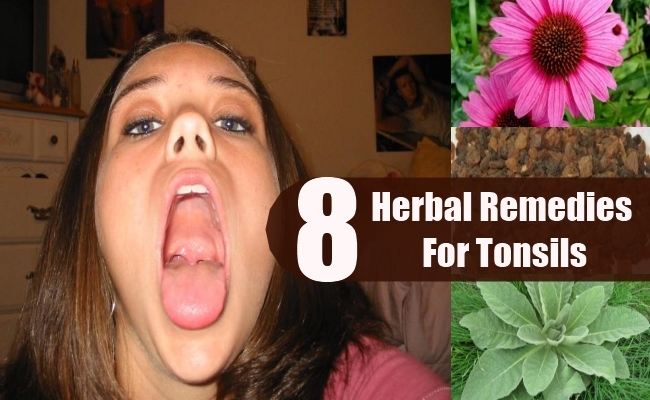 Below mentioned are some useful herbal remedies for treating Tonsils. Echinacea is one of the most powerful and effective herbal remedy for treating and preventing Tonsils. Echinacea is a rich source of sulfur, which helps in fighting against the infections responsible for causing Tonsils. This also helps in burst and destroying the bacterial and viral micro-organisms which cause the Tonsils to flare up. Echinacea is also very effective in fighting against the inflamed tissues of the Tonsils and stimulate lymphatic fluid drainage, thus providing relief from Tonsils. 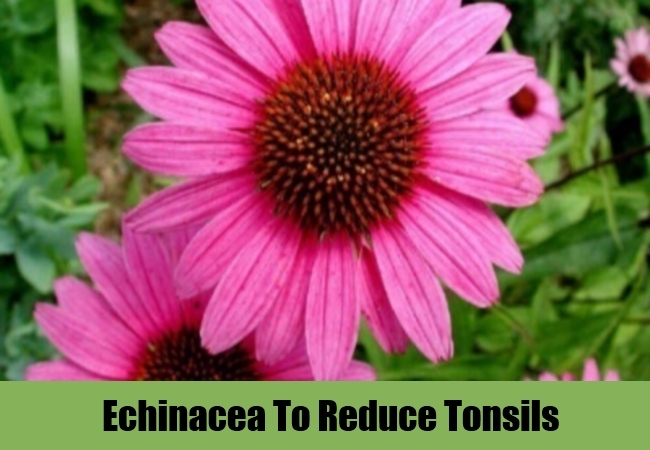 Echinacea is also very effective in boosting the overall immunity and reducing the instances of Tonsils. Echinacea is a naturally found antiseptic and can be consumed internally in form of capsules, tincture, tonics etc., to prevent tonsils and provide relief from its symptoms. 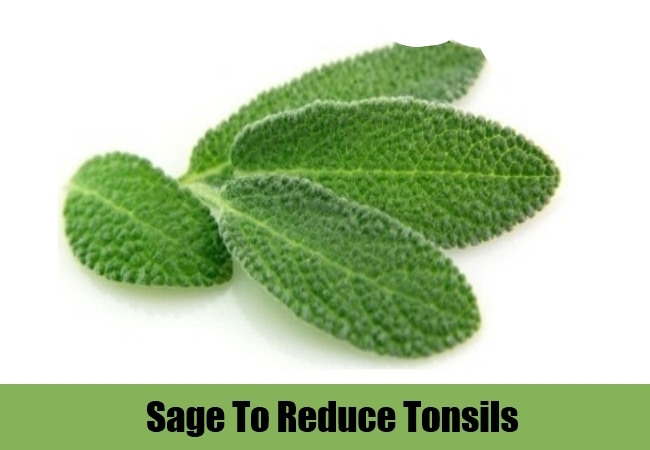 Sage is another very effective herbal remedy for curing and preventing Tonsils. Sage has high sulfur content, thus enabling the lymph nodes of the throat to fight and destroy the infections responsible for Tonsils. This herb is also very useful in fighting against the bacterial and fungal infections responsible for causing Tonsils. Sage is rich in analgesic and astringent properties, thus helping to elevate pain, break fever and sooth the irritation of throat tissues caused due to flare up of Tonsils. An herbal tea made using Sage leaves, is especially very beneficial in soothing Tonsils and providing relief from the scratchy feeling. Sage can also be consumed internally in form of tonics, capsules,infusion etc. Myrrh has been used since ancient times by herbalists all over the world to fight against the problem of Tonsils. Myrrh is very effective in providing relief from sore throat caused by Tonsils caused due to severe inflammation. This herb helps in soothing and cooling the inflamed lymph nodes and provides relief from throat pain. Myrrh is also effective in increasing the circulation of blood in the body, thereby removing toxins from the body which aggravate the Tonsils. The resin of Myrrh is rich in medicinal properties and used to obtain essential oil to help with Tonsils. 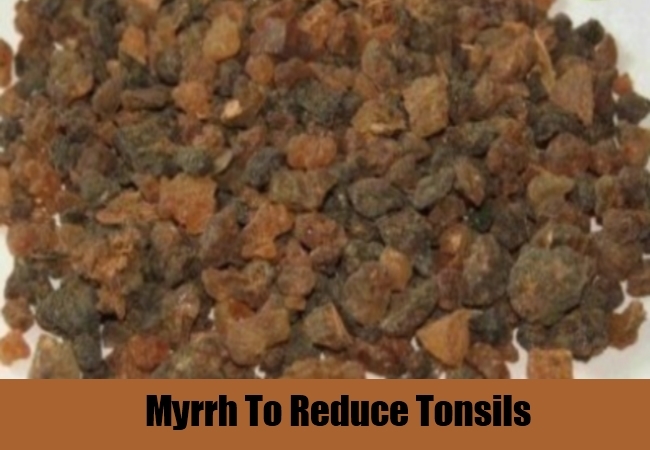 Myrrh is available in form of tincture, tonics, essential oil etc., to help with tonsils and its associated symptoms. Mullein has been used since ancient times as an effective herbal remedy for Tonsils. 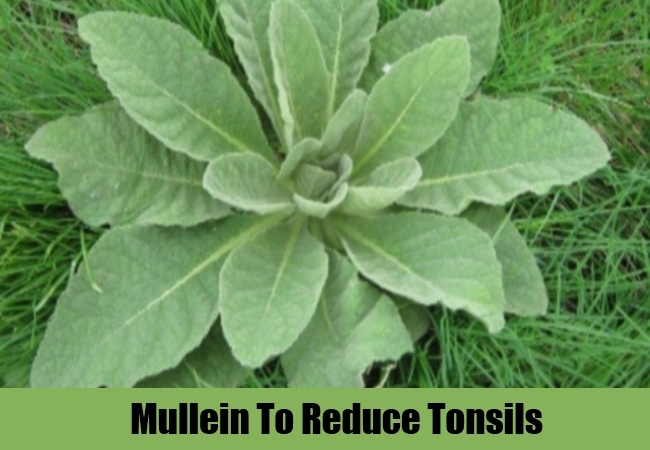 Mullein is very effective in reducing the throat pain associated with Tonsils. It is also very high in sulfur content, thereby enhancing the infection fighting capability of the lymph nodes and prevents them to flare up into Tonsils. Mullein is also very beneficial in reducing the inflammation of the lymph nodes and stimulates the loosening up the mucous from the throat, thereby enabling it to be eliminated from the body in form of phlegm. Mullein essential oil can be taken internally to help with Tonsils and break the fever caused in the body due to Tonsils. The flowers of Mullein can be consumed in form of extract, tonics, tincture, herbal tea etc.,to provide relief from Tonsils. Lobelia is yer another very effective herbal remedy for treating and preventing the occurrence of Tonsils. 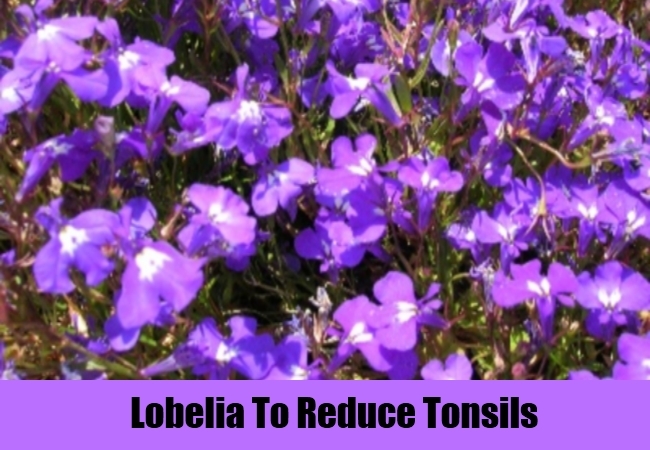 Lobelia contains sulfur, which helps in enhancing the function of the lymph nodes and enables them to destroy infections responsible for Tonsil formation. It is also very effective in loosening up congestion of the chest and lungs, thereby providing relief from scratchy throat, hoarseness, soreness, pain and discomfort associated with Tonsils. Lobelia is habit-forming and hence, should not be used for long durations. It is available in form of decoctions, herbal tea, ointments, smoking etc. Agrimony is yet another herb used since ancient times to provide relief from Tonsils and its associated symptoms. 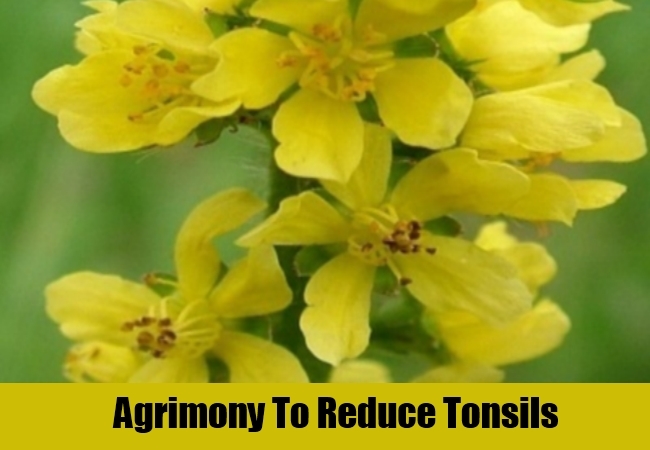 Agrimony is very effective in reducing the fever, pain and swelling in the throat associated with Tonsils. This herb stimulates the removal of catarrh and mucous from the throat and lungs, thereby speeding up the recovery process. Herb Agrimony can be used to brew an herbal tea, which is very effective in curing the problem of Tonsils. it can also be used for gargling to relieve sore throat and reduce the flare up of Tonsils. 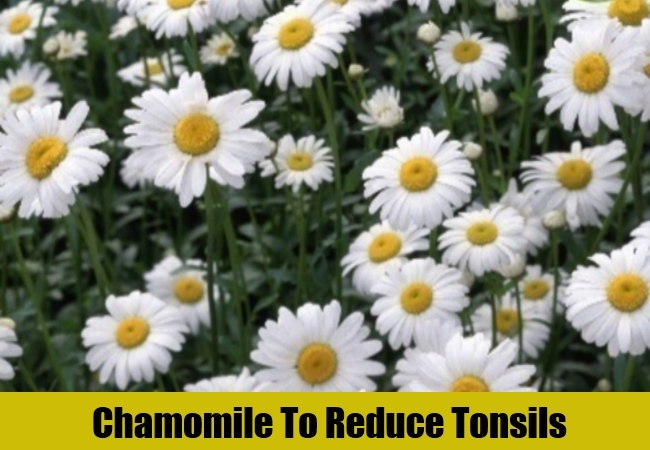 Chamomile is another very versatile herbal remedy which can be used to cure the various symptoms of Tonsils. Chamomile is very effective in elevating the throat pain and headache associated with tonsils. It also in breaking the fever caused due to release of toxins by the infections. This help in providing a soothing effect to the flared up of lymph nodes into Tonsils. Chamomile is also very useful in decreasing the tonsil size and shrinking them. Chamomile herbal tea is especially very soothing in case of Tonsils and sore throat. The bark of White Oak is a very powerful herbal remedy used in case of Tonsils. It is a naturally found antiseptic and can be used in form of gargles to fight against the infections responsible for causing Tonsils. This herbal remedy is also very effective in reducing the size of tonsils by shrinking the lymph nodes to their normal size. White Oak is also responsible for providing a soothing and cooling effect to the irritated lining of the throat. 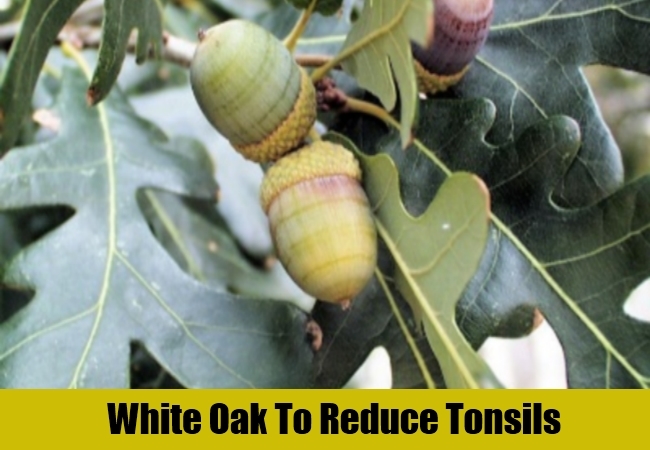 White Oak bark can be consumed in form of herbal tea, extract, ointments, syrups, tonics etc., to fight against Tonsils and its related symptoms. The bark of White Oak is best effective when used for gargling in order to get rid of those painful Tonsils.